Waverley Borough Council has now published its draft Local Plan, which selects sites for the 9,861 homes that will be needed in the Borough by 2032. Dunsfold Park is one of those sites. A substantial site of 249 hectares located to the south west of Cranleigh and east of Dunsfold village, of which about 82% is previously-developed land. It is not within the Green Belt or the Area of Outstanding Natural Beauty. The brownfield designation of Dunsfold Park, and its location outside both the Green Belt and Areas of Outstanding Natural Beauty (AONB) makes it unusual. 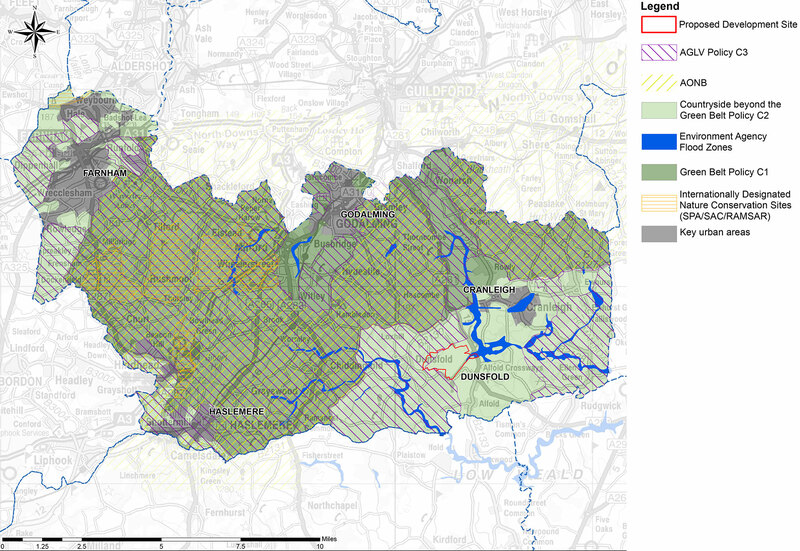 61% of Waverley Borough is in the Green Belt and 80% is in an AONB. By allocating new homes on brownfield land at Dunsfold Park the Waverley Local Plan directs development away from Green Belt and AONB areas. The allocation has been informed by a 2014 Local Plan consultation, which elicited over 4,200 responses from Waverley residents. Of these 80% commented in favour of a scenario whereby 3,400 new homes would be built at Dunsfold Park. A further scenario whereby no new homes would be built at Dunsfold Park, with more green belt development taking place instead, was the least popular consultation choice. Help to meet the identified housing need in the Borough, with a range of housing sizes, types and tenures. Deliver around 26,000 sq m of new B class employment floorspace. This will contribute towards meeting the economic development needs of the Borough and the overall objective of supporting the delivery of new and improved commercial premises in order to meet the needs of businesses in Waverley. Create a high quality, mixed use community with its own identity and character, forming a new settlement, with a range of community facilities and services. Waverley Borough Council is now consulting on the draft Local Plan, before submitting it for examination by the Department for Communities and Local Government later this year. You can comment on the Plan here – the consultation closes on 3 October. Dunsfold Park look forward to working with Waverley Borough Council to realise Dunsfold Park’s potential, in line with the wishes of Waverley residents.